Thomas Bien Ph.D. is a clinical psychologist in private practice in the Albuquerque area. In addition to a doctoral degree in psychology, he has a master's degree in theology from Princeton Theological Seminary and is a former United Methodist minister Beverly Bien. M.Ed., is the Executive Director of La Vida Felicidad, a nonprofit agency that provides services to people with disabilities, and coleads workshops and seminars with her husband Thomas Bien. 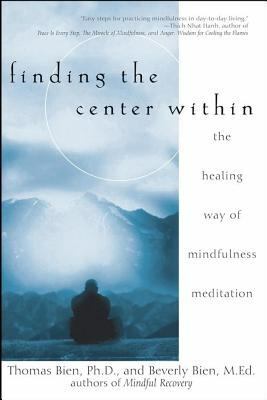 She has a master's degree in counseling psychologyBien, Beverly is the author of 'Finding the Center Within The Healing Way of Mindfulness Meditation' with ISBN 9780471263944 and ISBN 047126394X. Loading marketplace prices 9 copies from $12.05 How does the rental process work?